F35 Tapered Highlighter Brush is rated 4.9 out of 5 by 122. Rated 5 out of 5 by veganrose from Super Soft, Beautiful Highlight I realized I was missing a highlighter brush from my collection, so I asked the internet what's the best brush for highlight. F35 came up again and again, so I gave it a try and I'm so glad I did! 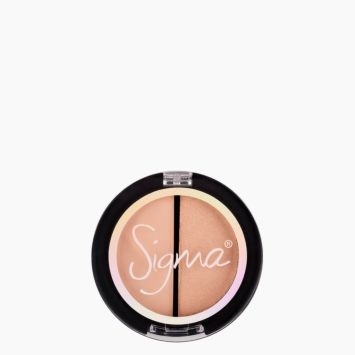 It gives a gorgeous soft highlight, and the tapered shape allows me to use it wherever I want a glow. With this brush, powder highlighters just melt with my skin, when the same highlighter with a different brush would look powdery and sit on top. 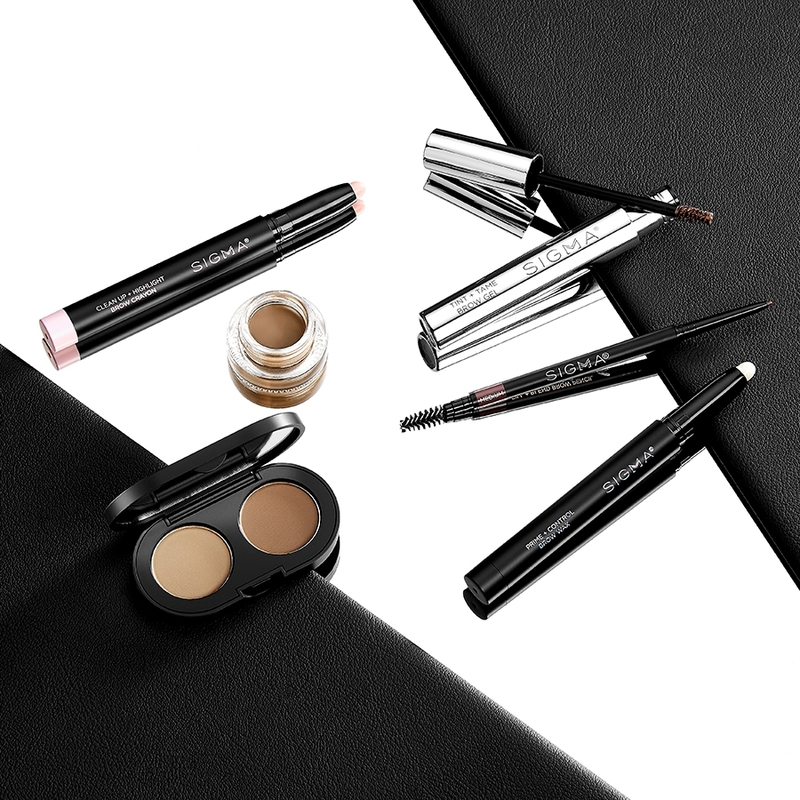 It's also the perfect shape for setting my under eye concealer! It gets into all the nooks and crannies. What I love best about this brush, though, is that it's cruelty-free and vegan. Thanks for making an awesome, functional brush that doesn't rely on animal hair, Sigma! Rated 5 out of 5 by Stylebyemmab from shine like a disco ball i love this brush, it is amazing to get a defined and perfect highlight! Rated 5 out of 5 by Steviebee123 from Amazing brush and Amazing service! I ordered 7 sigma brushes, and this has to be one of my favorites! The brush feels so soft against my face, and the application is amazing. Not only is the quality top notch, but The brushes came in two days! And that was even though I chose standard shipping. I was so amazed when they showed up three days early. I went to look at the tracking page, and I had a little comment that said "good news we are in your area, so we'll be delivering the brushes to you, instead of the post office!". Such an amazing brand! I definitely recommend purchasing not only this brush, but any other ones you might have your eye on. Definitely worth the money and more! I am now looking for a brush for setting the undereye area with setting powder and ive narrowed down my choices to the F35 and the F25. Which one would you recommend? Thanks again! F35 I small enough to get between your nose and eyes! That&rsquo;s what I usually use! Hello Mohamed! Thank you for your question. The reason for some product names having a dash between the name and number, while some do not, is because it is an old model vs. a new model of the product itself. The old models have the dash, while the new models do not. We are currently working on phasing out the old ones for new. Keep an eye out! Can this brush be used as a powder contouring brush? 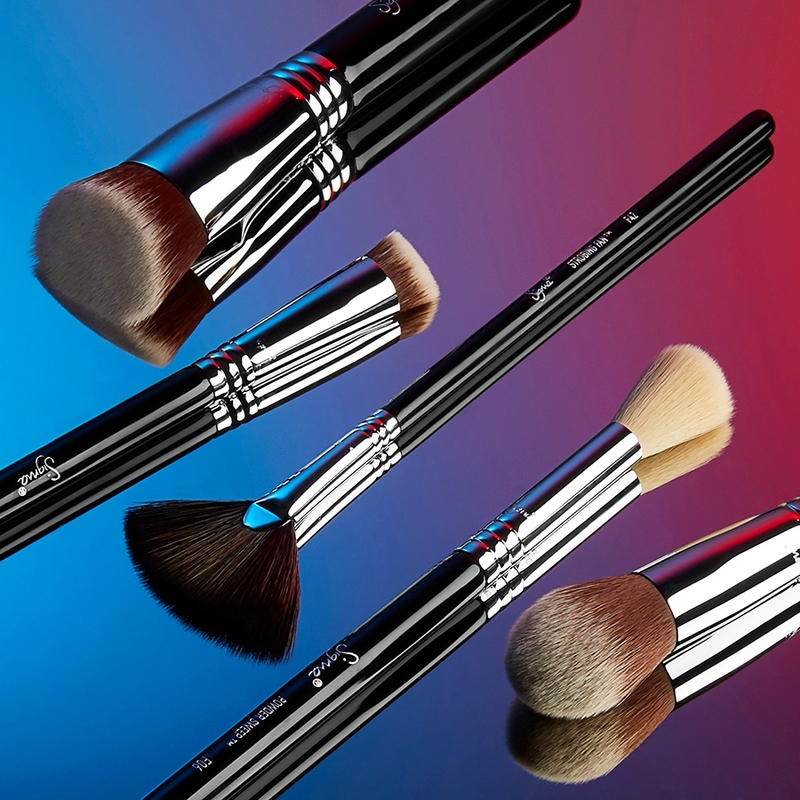 Yes, the F35 - Tapered Highlighter Brush is versatile and can definitely be used to apply powder contour! 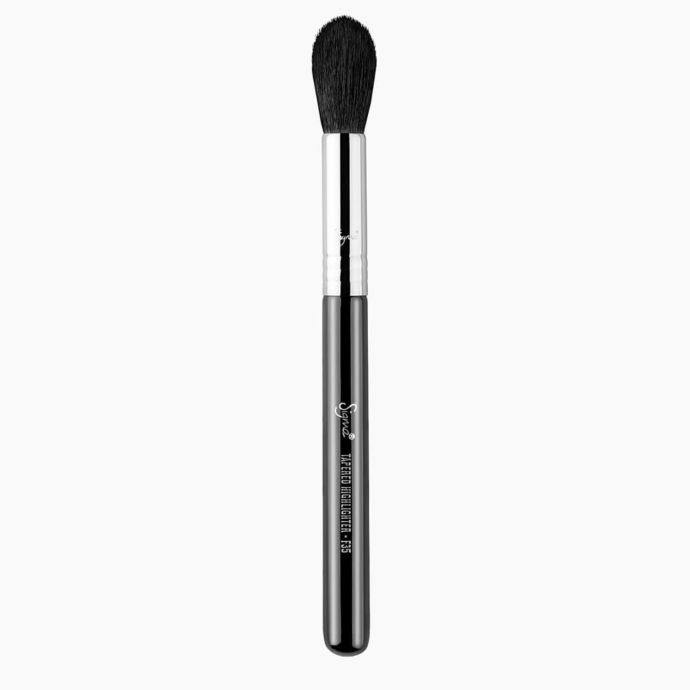 Can I use the f35 brush for mac's soft and gentle highlighter? Yes! 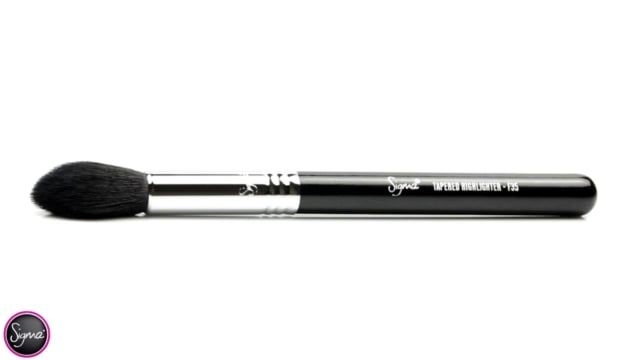 The F35 - Tapered Highlighter Brush would be a great choice to apply your highlighter. Yes, the number number engraved on the brush ferrule is the product batch number. &quot;Made in China&quot; will also appear on the handle. All Sigma products are designed in the United States. The necessary components used to manufacture Sigma products come from a variety of specialized sources and are made in China. All Sigma products are made with the highest quality ingredients and components, and are hand-checked for quality at our headquarters in Minnesota, USA. does this brush consist of synthetic hairs? Yes! The F35 is made from SigmaTech&reg; synthetic Fibers. 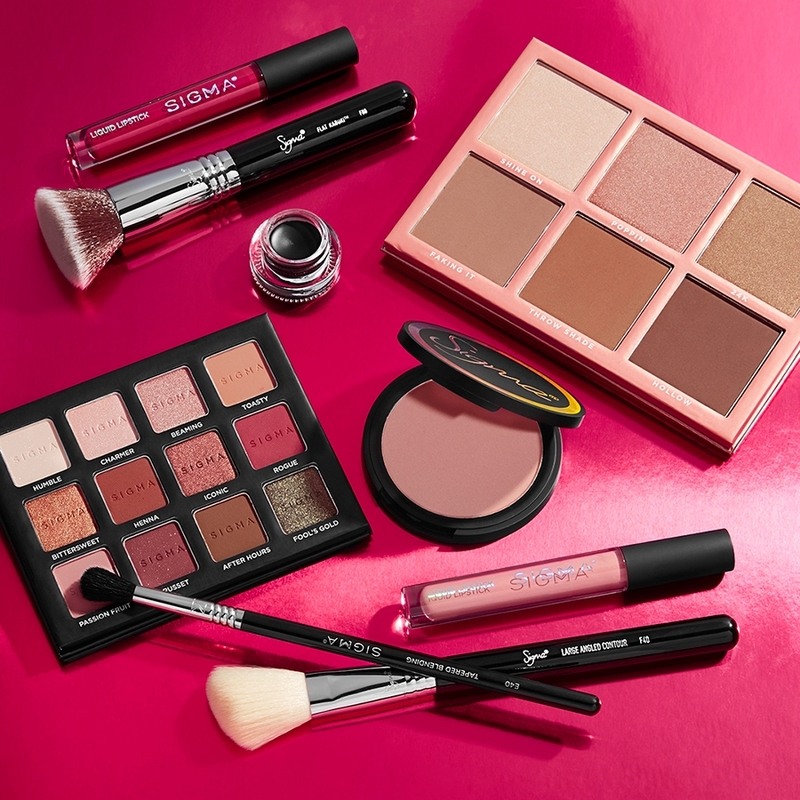 SigmaTech&reg; Fibers is Sigma Beauty's exclusive selection of high performance synthetic fibers engineered to outperform traditional animal hair. 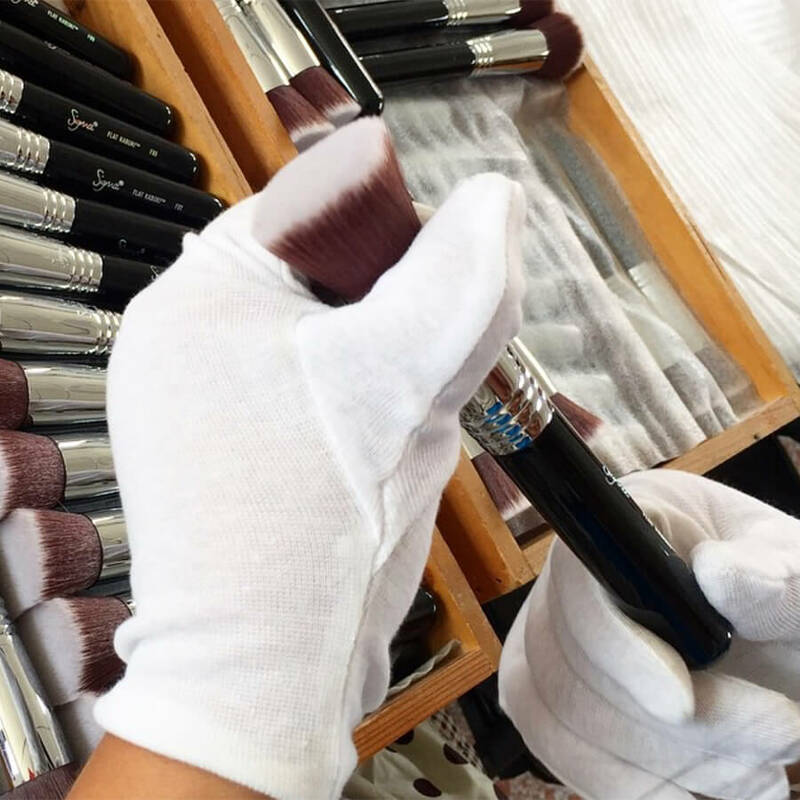 SigmaTech&reg; features technologically advanced filaments with specialized tips developed to hold and deliver cream and powder products without any absorption into the bristles. Built to last, SigmaTech&reg; fibers will maintain its original shape and color even after multiple washes. Both fibers are antibacterial and hypoallergenic. You can use any of our brushes with creamy powder highlighters! 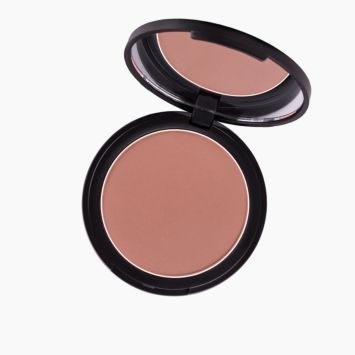 You can use the F35, F42, F03 or the F37 to apply pressed powder highlight. What would be the difference between using a fan brush vs. an F35 (for example) for highlighting? Thanks! 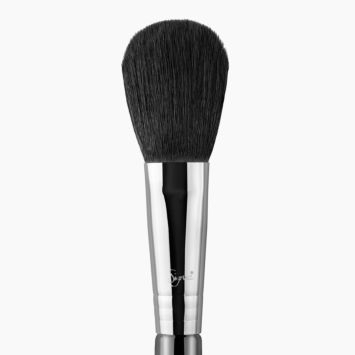 The F41 - Fan Brush has long bristles to lightly apply powder, cream, or liquid products to cheekbones, nose, forehead and chin. 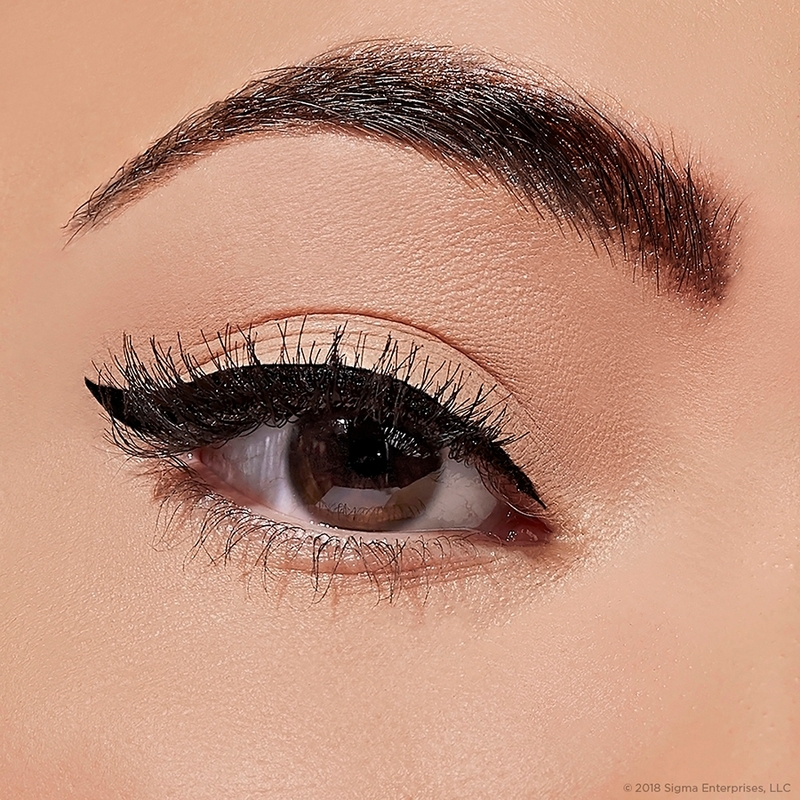 Use the corners of the fan for the perfect touch of light on the brow bone, Cupid&rsquo;s bow and inner corners of the eye. 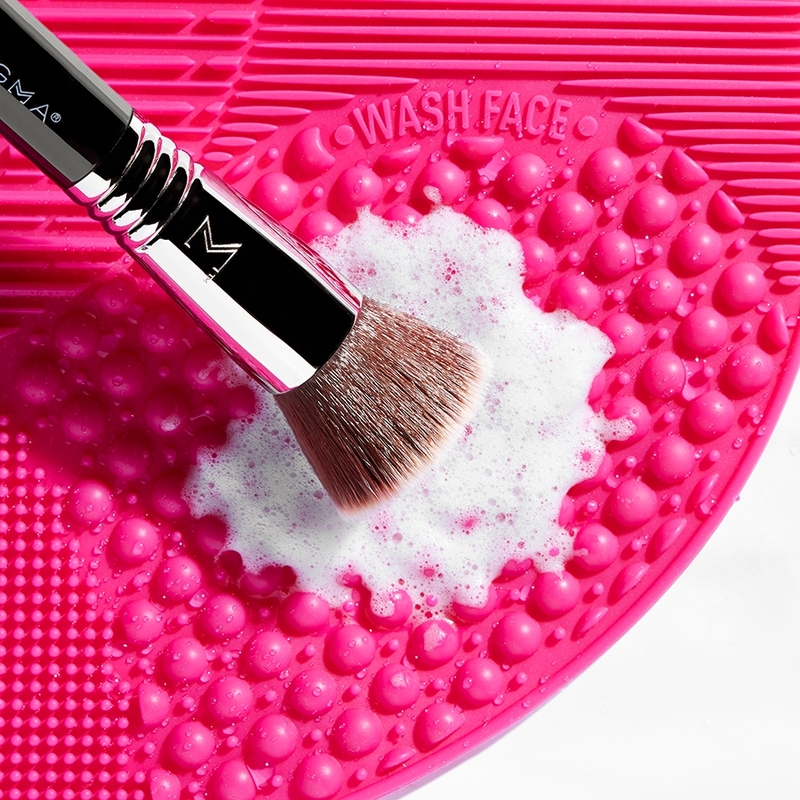 This brush will apply highlighter with a soft and subtle appearance. 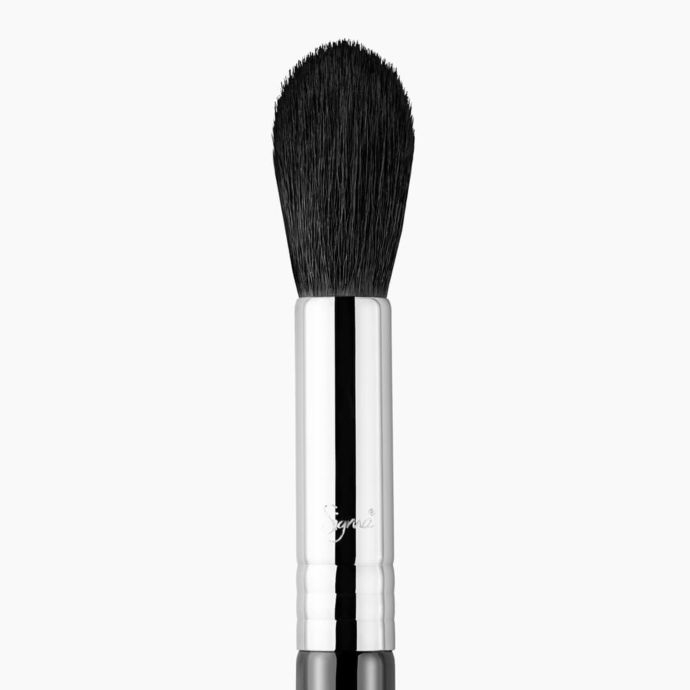 The F35 - Tapered Highlighter Brush features soft fibers with a small tapered brush head. 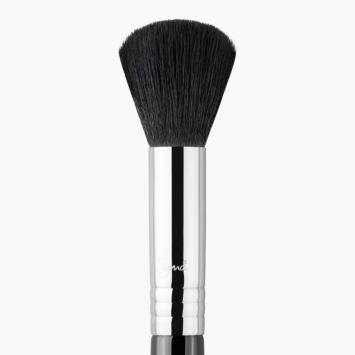 Use this brush with highlighting powder on the cheekbones, forehead, nose and inner corners of the eye. 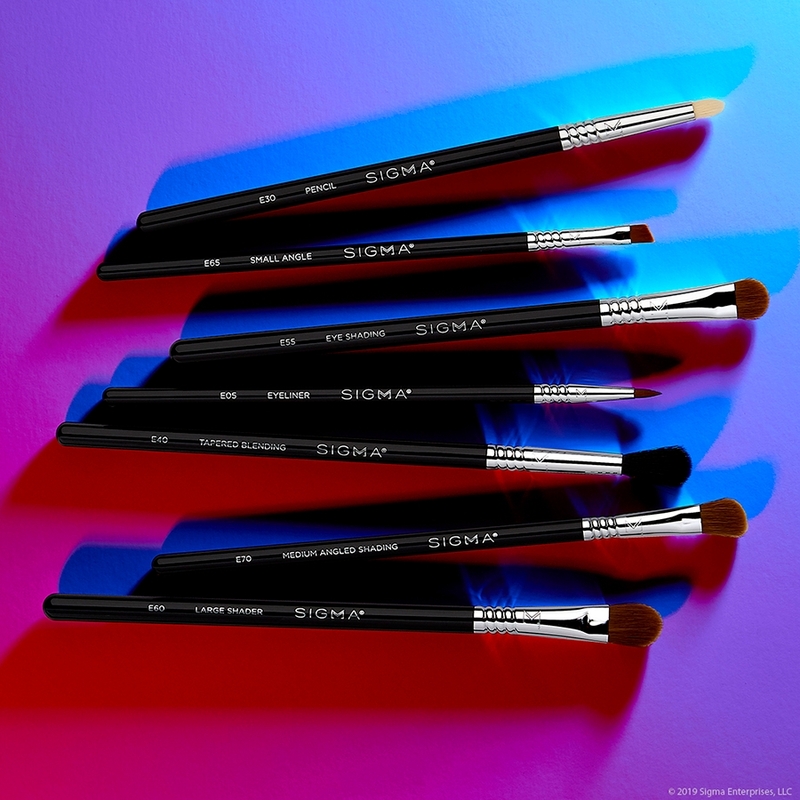 This brush will apply powder highlighter with precision.